CAMERATA ORPHICA is an international chamber and symphony orchestra of outstanding musicians based in Vienna and Sofia. Starting in 2007, the artistic director Mario Hossen built up the solid core of the orchestra consisting of professional artists – including many prize winners of both national and international competitions and principal musicians of the leading symphony orchestras of the Danube States . The orchestra has had the honour of playing with the following eminent soloists: the pianists Adrian Oetiker, Brigitte Meyer, Milena Mollova and Ludmil Angelov, the violinists Gérard Poulet, Dong- Suk Kang and Takashi Shimizu, the violists Gérard Causse and Wolfgang Klos, the cellists Dominique de Williencourt and Anton Niculescu, the flutist Philippe Bernold, the oboist Hansjörg Schellenberger, the trumpet virtuoso Romain Leleu, and the tenor Boiko Zvetanov. Conductors have included Jean Ferrandis, Christoph Hagel, Joel Mathias Jenny, Vladimir Kiradjiev, Felix Carrasco, Guenter Pichler, Amaury du Closel, Nayden Todorov, Alexis Hauser and François-Pierre Descamps. Each of these musicians has important contribution creating the sound and the quality of the orchestra. 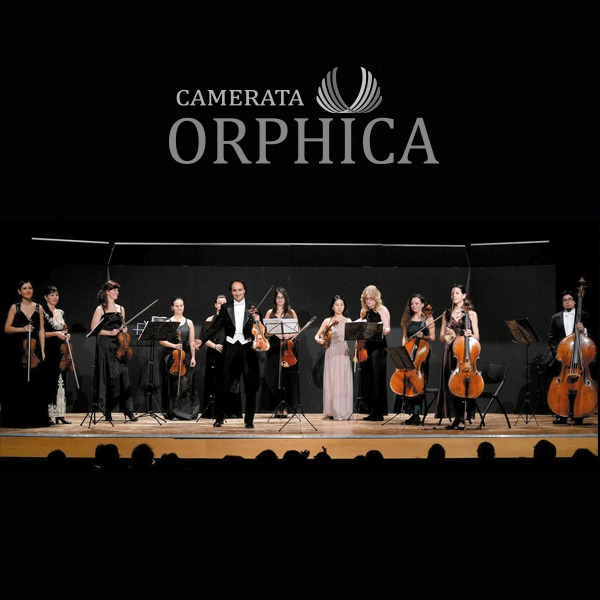 CAMERATA ORPHICA – Vienna Les Orpheistes has repeatedly demonstrated its high quality and capability in concerts and on tours of Austria, Bulgaria, Spain, Finland, Poland, Lithuania, Switzerland, Italy, Turkey and Japan. Various CD recordings of works by Bach, Vivaldi, Geminiani, Tartini, Stamitz, Mozart, Mendelssohn, Schumann, Bruch, Paganini, Kreisler, Tchaikovsky, Arnaudov, Bischof and Williencourt bear witness to the orchestra’s high musical and technical standard.